When width is an issue our 730mm wide towers with platform height from 1.5m to 6.0m gives a massive 8.0m reach and the mobility to push around on a flat surface. All machines and attachments available for long or short term hire with transport across greater Sydney and surrounds including Badgerys Creek, St Marys, Ryde, Coogee, Frenchs Forest, Penrith, Mascot and Liverpool to name a few. 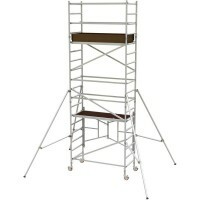 Our Narrow towers give you safety and a great work space. Towers can be built without a licence up to 4m. These towers are easy to build and handle. 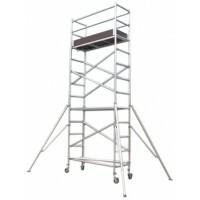 They are suitable for work on civil & construction sites, residential and commercial buildings.